The proximity sensor is a position sensor or switch that can have operation on the moving parts without mechanical contact. When the object gets close to the sensing surface of the sensor to the working distance (detection distance), the proximity sensor can operate without mechanical contact and pressure, thereby provide control instructions to the computer or PLC. There are two main types of ATO proximity sensors: inductive proximity sensors and capacitive proximity sensors. 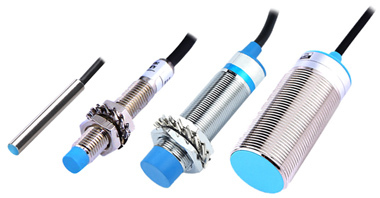 Inductive proximity sensors are specifically designed to detect metal, and capacitive proximity sensors are primarily used to detect dielectric, such as conductors, insulating liquids or powders. According to output methods and wiring, the proximity sensors can be divided into DC 2-wire NO/NC, DC 3-wire NPN/PNP type NO/NC, DC 4-wire NPN/PNP type NO+NC, AC 2-wire NO/NC and AC 3-wire NO+NC. Here ATO provides a proximity sensor price list both for inductive proximity sensors and capacitive proximity sensors with common size. If you want to choose and purchase a specific product, click ATO proximity sensor to get more parameters. Note: The prices in the table list are for reference only. If want to get current quotation, please contact us now. Generally, it's cheaper than the price in the table list. How to Connect NPN/PNP Proximity Sensor to PLC? How to Select a Right Sensor?